There’s great debate scurrying around the hair community about the use of protein on one’s hair. Naturals who have difficulty with hair breakage or brittle hair after doing a protein treatment, will often blame it on the very use of protein in hair products. It’s been termed protein sensitivity. Protein treatments have received a bad rap and it’s time to clear up the confusion. Hair is composed of approximately 91% protein made up of long chains of amino acids. As the cells in your hair mature, they fill up with a fibrous protein called keratin. Keratin that is found in hair is an insoluble protein called “hard” keratin because it doesn’t dissolve in water and is very resilient. Since your hair is predominantly structured of protein, it makes sense that if your hair became protein deficient at any point in time, only a protein treatment could help remedy the problem – if even temporarily. Protein has a sole purpose in hair products – one job and one job only – To Strengthen Your Hair – through temporary reconstruction. 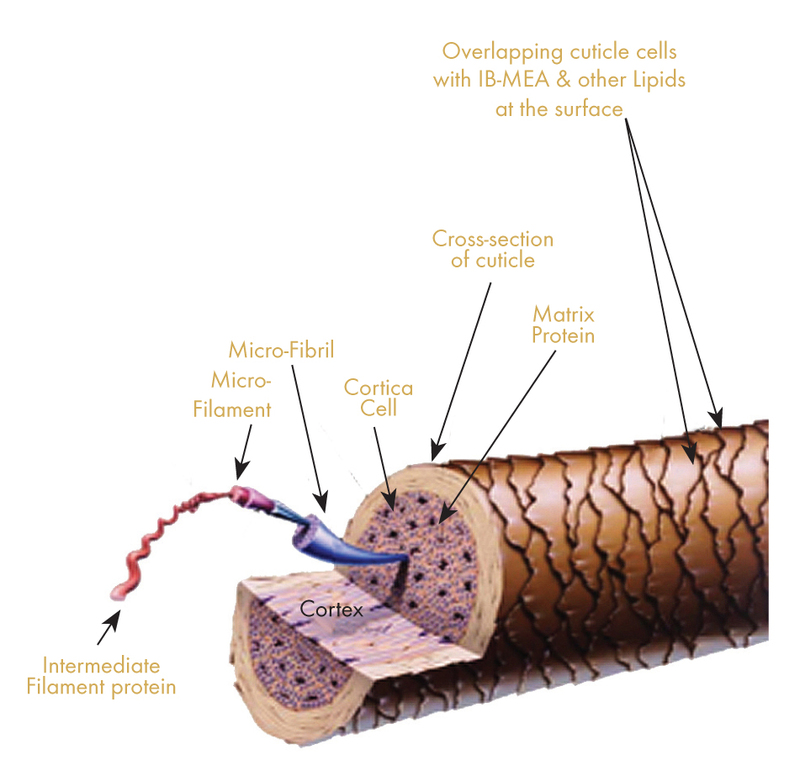 When used properly, the protein molecules in a treatment will bond to your hair shaft and strengthen it. Will it feel hard? Yes. Is it supposed to? Yes. How you treat your hair after a protein treatment is just as important, if not more so as how you apply it. Not all protein is created equal (ex: silk, wheat, collagen). some protein treatments are harsher than others. Do your research. When you apply a protein treatment to your hair after washing it, heat is then used to swell the hair follicles open. At that time, the protein molecules can bond with the hair shaft to strengthen it. It-Will-Stay-That-Way causing you to have what you think is “protein sensitivity” UNTIL you follow that protein treatment with a moisturizing deep conditioner which serves to to re-soften the hair. It’s what’s known as moisture/protein balance. Sometimes even after following your protein treatment with a moisturizing deep conditioner, your hair may not feel as soft as you are used to. This will remedy itself within a few days when your ideal protein/moisture balance is reached. Just continue to moisturize your hair daily. A moisturizing deep conditioner must follow a protein treatment for a balanced head of hair. After washing, detangling, towel (or t-shirt, paper towel etc) drying and sectioning your hair, apply a protein based conditioner. Be careful not to over manipulate the hair. Do not comb or brush the treatment into your hair. Carefully, us use nothing but your hands. Sit under a hooded dryer for 15-30 minutes. Anything more is not required. Protein will bond to the hair shaft within that time frame. Rinse hair thoroughly with warm water, allowing the shower head to do most of the work. Next and Most Important: Apply a moisturizing (softening) deep conditioner that’s protein free to your hair and allow it to sit on the hair for at least 15 minutes (preferably with more heat applied) You can finish your shower ritual during this time). This will balance your hair’s protein with moisture. It really does need both. Apply a protein-free leave in conditioner that will pH balance your hair. After applying a moisturizing conditioner that softens, you’ll find that any previously straw like hair is now softened, more pliable and ready for styling. Only after applying the moisturizing conditioner should you begin to manipulate your hair for styling. It’s also not necessary to do a protein conditioning treatment every time you wash your hair UNLESS you are constantly re-damaging it with the use of chemicals, brushes or heat stylers. For most people, once a month at minimum is sufficient for maintenance. Protein should ONLY be part of a treatment that you use to strengthen your hair. Leave In Conditioners, Serums, Curl Enhancers etc, should typically not contain protein. Why? Because protein should only be used with heat as part of a treatment to fortify or temporarily repair the hair. Some moisturizers and stylers include protein in their ingredients. These products may or may not cause your hair to become brittle but that is based on how abundant the protein is within the product and how often you use it. The further down on the ingredient list a protein is the least abundant it is. The higher the protein ingredient (hydrolyzed or otherwise) is on the list, the stronger the treatment will be. The only way to know exactly where protein falls in the ingredients (or if there’s any protein at all) is to read your product labels. DO NOT blindly trust what the manufacturer says about their products. Product claims can run from over-exaggerated to downright outlandish. The ingredient label is what you need to give your full attention to. By law, the manufacturer must disclose what formulates their products. However, the law does not address the fast and footloose way manufacturers dance within the shades of grey to “market” those products. That’s why we need to be educated consumers and read the labels. 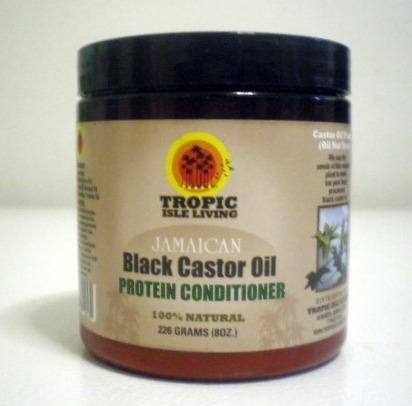 Two store bought products that I’ve found to be very effective at strengthening the hair and putting a stop breakage are Aphogee Two Step Protein Treatment and Jamaican Black Castor Oil Protein Conditioner. The Aphogee is a very strong protein treatment and should be used for emergencies when breakage has gotten out of control. JBCO Protein conditioner is a great maintenance product but my staple protein conditioning treatment is a DIY goat’s milk and honey conditioner that I use faithfully every 2 weeks. Educating yourself about the products you are using is very important if your goal is to grow and maintain a healthy, balanced head of hair. Again, it goes back to researching what your hair’s needs are. For those with fine hair, regular use of protein is necessary to maintain strong hair. Every head of hair has different requirements as it relates to protein treatments. Your comments are welcomed. While you may not agree, please be respectful. Is there any reason why I shouldn’t mix my protein mask with a moisture mask, rather than do each separately? Thank you! you could mix them but if the point is just to deep condition your hair for the purpose of imparting moisture, you don’t want the protein. Also, when you are using protein for the purpose of stopping breakage, you want to use the protein treatment full strength. Hello. Question. I have fine relaxed hair. Hair that was full and mid length. I used a petition treatment I purchased from Sally’s. Reviewed the label etc followed instructions. After shampoo conditioning the whole routine my hair started coming out. Not only that what I was left with was scabs, irritated scalp with small white bumps! It took several weeks before I could run a comb without it catching on certain sections of my hair. Needless to say, I am devastated! To watch my hair shed in the shower was traumatic. I take meticulous care of my hair. I have allergies so I a mindful of the products I use. While I do opt to relax my hair- I only relax every 90 days. My question is- is it possible that one can have a protein sensitivity? What happened to me (shedding, scalp irritation and white bumps) that’s not normal. I now have two textures on my head now. To relive the itching I used a topical solution and I started taking Viviscal because a side effect is that the ingredients coat the scalp fro the inside out and this is the only thing that has stopped the itching and soothed my scalp. I also switched back to Aveda products because they have worked well for me in the past AND they are the one of few that doesn’t throw protein in the mix. My hair is no longer shedding, but I am in rebuild phase. Just so horrible. So horrible!! First off, how horrible. I pray your hair follicles were not damaged beyond repair. Second, your hair is actually made up of mostly protein. If you used protein and your hair really didn’t need it, the most you would get is your moisture levels thrown off causing your hair to feel brittle. You would NOT get hair loss and scabs. It sounds like you had some sort of allergic reaction and perhaps the chemicals in the product were no good. If you are still experiencing problems, pls go to a dermatologist who is more qualified to diagnose. Thans for sharing! Yes protein is so critical, if even only used once a month. I use more DIY protein stuff now but Aphogee is great! How long after a protein treatment such as nouritress should you wait to use rice water? I have yet to use rice water so I can’t say. However if using rice water provides the same effects as a protein treatment, I wouldn’t use them close to one another. Maybe a month? Hard to say. I plan to try it soon. Hi Michelle, is this good for all hair, even Caucasian hair? I have very curly, over-processed frizzy hair. I have used the product (link below) as a leave in rinse and my hair is now wonderful like it was when I was a kid before I started coloring and straightening my curly hair. The product was developed as an addition to coloring but it says on the package that it can be used as a leave in conditioner. I have only used it once as a leave in conditioner ( you have to activate it by mixing it with water – I used warm water) but now I am afraid to use it again after reading your very informative article. Should I follow the steps you advise or should I continue to use this product the same way I have been but on a limited basis, like once a month? Thanks for any info you can provide. you don’t want to get protein overload but you also want to use enough protein to help strengthen your over processed hair. If it’s working for you, use it when you need it but it doesn’t seem like this is meant to be a maintenance product…more so to be used when your hair is feeling weak, experiencing breakage. Hi, so I have 2b, high porosity, fine, medium density hair. I’ve wanted to do a protein treatment and/or deep condition but have been scared since I don’t know what to get for my type of hair. I know I want something light, hydrating, and something to strengthen my hair. (Also cg approved) Any recommendations for products? ?Also any order I need to do stuff, how often etc. Please make it somewhat budget friendly. Test it out on your hair. I can use this weekly but you may find you only need it bi-weekly or even monthly. Lastly, the recipe is budget friendly because once you have the ingredients, you’ll be able to make many more treatments. Great informative post! I watched a yt vid n she was doing all the wrong stuff. Glad I searched n found this page! Thanks so much for explaining all this!! Since going natural, I have struggled with protein products for almost a year and then I completely stopped using protein. My hair feels much better without any protein, but I know its necessary! Can’t wait to deep condition with a Protein first and then follow with a moisturizing deep conditioner. Thanks for the advice! Glad to help! Start with light proteins like products containing silk proteins. I have fine curly hair and I bleached the front of it. Now it won’t curl. I don’t know what to do!!! It looks awful and it just frizzes! sounds like chemical damage 🙁 the only cure is to cut it out. let it grow out and cut the color out slowly. In the meantime you can use rollers to try and blend the straighter texture. Bleach is no good for fine hair. it’s really not good for any hair but thicker strands can tolerate it a bit better. My hair is medium to fine which I lost about six inches due to stress and iron. I am over the iron but someone told me I have protein overload so I have been doing greenhouse, DC and etc they told me to stay away from all protein and henna because it will make my hair worse. Is this true? My hair is frizzy and I feel like its not growing fast enough. I am low porosity so I am not sure it makes a difference. I am glad I found your site. it’s definitely possible to get protein overload if you use too much of it. you must always keep your hair balanced with protein AND moisture. However, if you are doing the greenhouse method, DC etc, you could easily switch from protein overload to moisture overload. sounds like you are doing too much. Why 2 shampoos? Also, after the strengthening treatment there should be a deep conditioning treatment to add back moisture. So a hair gel with protein in it is useless as a protein product unless it’s applied with heat? I want to know if it’s normal for your hair to get hard while putting in the protein treatment/shampoo? If I use a DIY protein treatment (eggs and yogurt for example) my hair will get hard 2-5 mins in. NOT super hard but hard. The other day I tried to do a protein shampoo ( Roux Porosity Control) and my hair got SUPER SUPER hard like 2 mins in. I was not able to scrub , just rinsed it out. So I’m not sure if I’m doing something wrong. How hard should hair get while putting the protein treatment in? It’s quite normal that protein makes your hair feel a bit hard as the protein is bonding to the hairshaft. However, there are different forms of protein and it sounds like you’d fair better with a lighter protein treatment that’s more balanced with moisture. I’m not a fan of using protein in shampoos because the purpose of your shampoo is to clean your hair. That’s all. The protein should be saved for a treatment. You also don’t need to do protein treatments every time you wash your hair. You don’t need a heavy duty protein treatment unless your hair is breaking a lot or it’s chemically damaged. Hello. I’m so confused about my hair. I used Palmers Protein pack for the first time and followed their instructions to the T. I’ve got low porosity hair. My hair felt rubbery when i finished using it. Couldn’t run my palm towards the back of my hear from the front. No slick whats over. Never felt that even when i used to use shamppos with sulfate beforrbi went sulfate free.I conditioned and deep conditioned. I felt fine. A week in my braids and doing my normal moisturizing routine the area at the back of my head feels tender and I’ve been noticing I itch occasionally, more so than when I never did a protein treatment. Considering this was the first time feeling this way I don’t want to blame the product maybe a specific ingredient but my fear for using protein again scares me. My conditioner has hydrolyzed protein but it’s almost at the end of the ingredient list so I doubt it’s in larger quantities. I wanted to ask if i should do a protein treatment before or after i use henna colour for my hair and how long should the time period between their usage be? No. a henna treatment is a strengthening treatment that acts similar to protein. What you should always do is follow a henna treatment with a deep conditioner that doesn’t contain protein. Hi Michelle, I desperately need help with my natural hair. On July 2nd, I decided to do the big chop after 20 years or more of relaxing and coloring…I noticed how hard, tightly coiled my hair is in the back and sides, after much research, I discovered this might be scab hair…Can you please advise me what I can do to soften these area, What should I be doing and products that can help? I do not believe in the term “scab hair.” There is no scientific or other evidence that such a thing actually exists. You may have a very tight curl pattern which will make it naturally dry. What you should focus on is regularly deep conditioning (at least once a week) and moisturizing & sealing (preferably daily). As your hair grows out, you will see your full texture. As it gets longer, it can change due to the “weight” of your strands. Hi, this was very helpful. i was wondering if you do a blog post on a list of product with no traces on protein. i am protein sensitive and have found out for a while. however have not come across a product with absolutely no protein. They have shea butter and coconut in them which act like a protein. it would be helpful if you could recommend some products. Very informative site. I have been natural for years, im starting to get it. My hair recently went crazy dry, lots of shrinking, no curls. I had a jar of cholesterol, it worked wonders, my hair is back. Now, ive had this jar for at 6 years, andit still worked. thanks Cheryl. I know what you mean about being natural for years before finally getting it. I went natural went it wasn’t as popular as it is now and I had no clue. I just bought Creme of Nature’s Intense Conditioning Treatment, and I wanted your opinion on whether or not it would be considered a protein treatment. Also, in order for the goat milk protein treatment to be effective do I have to add other ingredients or could I just use the goat milk as it is? I used to use cream of nature products when I was relaxed and liked them. I’m not familiar with this product but based in looking at the ingredient, ut appears that mist of the protein is pretty far down on the ingredient list. That may make this a light protein treatment. The best you can do is give it a shot. If you are having extreme breakage, I’d go with something like the Aphoghee 2 Step. For the goats milk, you could use it alone but the honey helps balance the moisture and add slip. The guar gum helps thicken the product so it’s not runny. The essential oils helps stimulate growth. Every ingredient really has it’s own purpose and they all work well together. If you were to just use the goats milk, at the very least I’d use the Guar gum to thicken it and then make sure you use a protein free deep conditioner after rinsing it out. So if my hair product has formation unit of protein (silk amino acid) which is a water soluble acid will it make my hair hard as well? Hello mitchelle, thanks a lot for this article. It is truly informative. I used the mizani thermal smooth shampoo and conditioner. Are there other mizani products that you can suggest that I can add to my hair regimen. I plan on starting my hair journey ASAP. In what category will you place mizani products?? You’re welcome. Thank you for taking the time to read it. Honestly, I can not recommend anything Mizani. It’s not a natural product line. I no longer use products that aren’t all natural. Hi, So my hair started feeling dry and frizzy out of nowhere and I couldn’t figure out what was the culprit. I am sure I have porous hair (it likes protein treatments) and I think I have hard water (just started doing a final rinse with bottled water). However I am pretty sure I have been ODIng on Aloe Vera. I was pre pooing with coconut oil (mimics protein), co washing with Tresemme naturals (has aloe) or suave coconut, my deep conditioners had aloe vera at the top of the ingredient list, some of my leave ins have aloe, I was sealing with aloe vera juice and also most of my stylers have aloe in it! I never knew that aloe mimics a protein lol nor did I even notice it was in basically all of my products. So now I am looking for deep conditioners that don’t have aloe bc I am not sure if my hair doesn’t like it or if I just over did it bc it acts as a protein. I also am afraid to use a protein treatment. Should I only deep condition with moisture for a few weeks and then maybe use a protein treatment. Just trying to figure out how to recover form this. Thanks so much!! You are doing the mostest lol. OK so I really don’t think the aloe vera is your biggest culprit. The aloe vera juice will moisturize your hair but not seal it. I use aloe vera gel on my hair and it practically dissipates. Coconut oil on the other hand can definitely cause the crunch, especially if the temps start dropping. As for the deep conditioner for moisturizing, I don’t use one anymore LOL. I use either Shikai Every Day Naturals conditioner or Trader Joe’s Tea Tree Tingle Conditioner after my protein treatments to restore moisture. I highly recommend the Shikai. It’s all natural and transforms dry hair on contact. I get it from Whole foods but I think you can get it elsewhere. Hey I have chemically straightened dry and damaged hair. I’m going to buy redken extreme strength builder as I’ve heard rave reviews. Do you have any experience with this product? Also, do you have any suggestions for a post-protein treatment conditioner? I cant decide what would pair well with one. I have medium-thick, dry, straight, dark brown hair. It has suffered a lot of heat damage as well. Hi I’ve not used the Redken line in years. I believe I used 1 product way back, was not impressed so never revisited. After a protein treatment or henna treatment I love to use Matrix Biolage Conditioner. I use the generic brand but it works the same. Then I rinse with Pantene Daily Moisture Renewal conditioner. That conditioner is everything! Lots of slip and restores the moisture balance. Hi Michelle, really informative post! thought was ‘protein overload’…. if you are able to suggest anything that would be amazing!! My hair seems to have stopped responding to moisturising treatments and has recently become brittle/frizzy/dry (im asian but have naturally very thick/curly/frizzy hair). I have tried Joico Revitaluxe … but again that didn’t help. Even though I think I might have overloaded my hair with protein containing products, do you think its a good idea to I keep using them? Maybe use the Joico in the way you have outlined above with heat? Either way I have bought KKNT and will def be trying to make that kimmaytube recipe! Any suggestions on a routine would be really appreciated… as you can see .. Im Confused!!! Hi Sophie- You may want to start by clarifying your hair to remove product residue. A solution of apple cider vinegar/water will do the trick. You basically add about 1/3 an amount of apple cider vinegar to 2/3 water. Make it a final rinse after your wash. If your hair isn’t breaking you don’t need daily or even weekly protein treatments. Monthly is sufficient for maintenance. Also, it sounds like you may not need heavy duty protein. Aphogee 2 step reconstructor doesn’t leave the hair hard but again you shouldn’t need to use it regularly if your hair isn’t breaking. I really like Pantene’s Moisture Rich conditioner (no protein). Maybe you can apply a conditioner like it to your hair and allow it to sit under a plastic cap for a few hours before rinsing. It can help restore some of the pliability to the hair. if you have time I would reaaally appreciate your input on this situation. ok so im going to get my hair bleached at the salon. ive read that putting coconut oil in your hair an hour prior to bleaching will minimize the damage to the hair. so I tried coconut oil in my hair and yes it did the whole hard strawlike thing, I deep conditioned and it went back to normal.. but here is my question. since it makes my hair all straw like is it a bad idea to put it in my hair prior to bleaching? thank you, if none of that made sense, im sorry. coconut oil helps protect the moisture levels & protein integrity of the hair when used as a pre-poo but that is not a guarantee for chemical processing. it’s a gamble i wouldn’t take with my hair. I’m planning to do an avocado mask with olive and coconut oil weekly.should i do a protein treatment like the aphogee 2 minute once a month too.avocado has very little protein.if i do it every week won’t it be enough to add protein in my regimen? I wish I would have found this thread prior to trying coconut oil on my scalp to treat dryness. My hair is waist length, naturally curly and healthy but my scalp was always dry after surfing. So I tried coconut oil and it did wonders with my scalp but dried my hair out majorly and has resulted in serious breakage. I’ve since tried a morrocain oil conditioning treatment but the hair is so broken from crown to tips that my hair won’t curl – it just frizzes. Any recommendations on what I should do? I’m trying to avoid my straightening iron to prevent breakage but my hair dries so unruly I don’t want to leave the house. Is there anything that will make the broken strands less noticeable and grow faster? If it were just the ends I would cut it, but not willing to shave my head or go short. Thanks. If I were in your condition I would focus on doing moisturizing deep treatments regularly….weekly (protein free). My curl pattern has already been loose too so when I started using Aubrey Organics products I was thrilled with how my hair began to curl over time. You may still need to get your hair trimmed though. It’s best to start with a clean slate. You don’t have to cut it all off just trims here and there. Do you seal your hair? I seal with either Jojoba Oil or Grapeseed oil and I seal the ends with Jamaican Black Castor Oil. These oils make a world of difference with sealing in the moisture. Great post! Can you just clarify a few points: what main ingredients should we seek in a protein conditioner and in a moisturising conditioner. This will determine that I am not using the same ‘proteins’ ingredients when I give myself both conditioning treatments at the same time. There are many types of protein and some are stronger treatments than other. Types of protein you may see on an ingredients label are: keratin, hydrolyzed protein, silk amino acids, casein, blue green algae, quinoa seed extract. there’s so many types of proteins but if you ever see the words “Cocodimonium hydroxypropyl hydrolyzed ” it’s probably associated with protein. A good moisturizing deep conditioner containing no protein is Generic Matrix Biolage Conditioner. I use that one after a henna. Otherwise, I do protein treatments weekly to every two weeks. I know your thoughts on eggs (lol!) but, I wonder what you think about an egg, coconut oil and honey treatment. I feel like my hair might need the protein, but it is breaking and perhaps needs the moisture too. You said to do moisturising treatments, after the protein treatments – what do you think about a home DIY recipe that combines them both? Thanks!! You could try and see 🙂 Worst case scenario is you don’t get the results you are looking for in which case you will have to return to doing a two step. However, if your hair is breaking significantly, I’d do a heavy duty protein treatment like Aphogee (do not manipulate the hair after applying and certainly don’t come it in regardless to what the instructions say. Just work the protein straight through) because while it’s great to use nature’s ingredients somethings you need something stronger if you are experienciing significant breakage. Just don’t forget to follow up with a nice long moisturizing conditioniong treatment directly after. While I certainly understand trying to save time, you really only need to do a heavy duty protein treatment once a month (even less if your hair is in good condition). The extra time it takes to do it is worth it in my opionion. Sounds good, what are your thoughts on scab hair? I’m going through one of those weird phases with my own hair, I was natural for 16 years then relaxed for just over one year and I’ve been natural for two years. The hair on my head now is a looser texture than I remember my natural hair being and it does appear that the new hair growing out now is completely different to the “scab hair” I thought was my natural texture. This hair is easier to moisturise and closer to what I remember my hair being like. Hey Alicia, thanks for commenting 🙂 Glad you found it useful. I’m actually about to post an article about AO GPB shortly. I LOVE the stuff. Hi. I am loc’d but my hair is not in good shape due to stress, overtwisting, a plethora of things. It’s also full of build up. I actually use the Aphogee 2 Minute Reconstructor, I’ve never used the actual protein treatment. My question is this: can I use the Aphogee or any other protein treatment after doing a backing soda/acv rinse? I’ve only done the rinse once before, but it got my hair very clean so I plan to do it again on Saturday. After I do the rinse, I wash with a sulfate free shampoo, then I deep condition. Do you think I’ll have an issue if I use the Aphogee following the baking soda/acv rinse? Hi Ayanna- If anything you’d do the rinse AFTER the 2 Minute Reconstructor. Oh and, that IS a protein treatment 🙂 It’s just milder. While it shouldn’t make your hair hard, I would apply the reconstructor followed by a deep conditioning moisture treatment. The ACV rinse is really used to remove build up and close the cuticles on the hair. If you don’t have lots of build up, I wouldn’t use it just to be using it. Also, I wouldn’t use an ACV rinse more than once a month. That’s just my opinion. thank you so much , i was reluctant to do the treatment by fear of protein overload.But, does it really matter what type of protein you use? Can using a wrong type of protein on your hair cause breakage ?! hi, i am relaxed and my hair is healthy, i don’t do protein treatment but my diet is full of protein. I heard that hair need a protein treatment monthly so i was wondering, is a protein treatment necessary on a healthy hair? i want my hair to be stronger so i was thinking of using aphogee once a month but i am afraid, can it cause a protein overload?? or is it also a myth just like protein sensitivity? Hi Franie- Hair is made of protein so I don’t believe people are sensitive to it. The important thing is to choose the right type of protein for your hair and then balance it with a moisturizing treatment. If you do the Aphogee 2 step once per month, that will not cause overload. Also, I am not natural, but can I use these same products that you mention throughout the website on my relaxed hair? Absolutely. Naturals tend to look for gentle products that don’t contain certain ingredients. If your hair is relaxed, you could certainly benefit from using gentle products. Now, not all natural use all natural products. In my own hair regimen, my products are about 95% natural from my shampoo to my stylers. The most important thing is to find the products that work for YOUR hair. Michelle, you gave a plethora of great information about deep conditioning, but what type or brand of shampoo do you recommend? Hmmm, Jamaican Black Custer Oil. I should remember this and tell the others to try this product. Umm, it’s out of topic but I think your Facebook is not available here http://www.facebook.com/Blended.Naturals, is there something wrong Michelle? I Michelle, I’ve been natural for almost two years but am still leaning how to handle my hair. Can you please tell me the proteins I should avoid unless I do protein/deep treatment. Thanks a lot. Hey Jasmin. Well, everyone’s hair is different. Women with low porous hair tend to require less protein treatments. In order to make it simple, you could try Aphogee 2 Step Protein Treatment. You would use the protein on your hair, then follow with the moisture balancing treatment. This should be done no more than once a month. I also use a conditioning hair mask made with silk protein that works beautifully at strengthening the hair. It’s a mud mask and imparts moisture and protein, leaving the hair soft, shiny and strong. I get it from Butters ‘n Bars. I love this info- thank you! I’m a bleach blonde, with stressed out hair. I read somewhere on the net that using gelatin which is hydrolyzed protein can be used as an alternate to ApHogee. Do you have an opinion on this? I gave it a go- it did harden and make my hair feel ‘crunchy’ but after following up with a moisturizing treatment to which I added coconut oil it came out soft again. Any comments from the ladies?? I love this sciencey geeky hair talk!! I don’t know a lot about gelatin other than its source is usually from the pig which I try not to put anywhere near my body lol. However, there are a number of ways to get protein to your hair. I like Aphogee a lot but there are milder treatments and also natural like mayonnaise. this makes a lot of sense. I’ve had to really search and be vigilant to buy non dc products that do not have protein in them (including coconut oil which makes my hair hard). It’s not easy at all! I wish hair care companies knew what you stated here!!! I have avoided using a protein DC for almost 6 months now because of my experience but will follow your very, very informative tips by using a light protein deep conditioner. I actually used to always follow a protein DC with a moisturizing DC when I was relaxed, I completely forgot about it after I became natural! I guess I thought I could relax since I used light protein treatments as opposed to aphogee two step. I was wondering if you have to sit under a dryer for 30 minutes with the protein DC, can I also leave my cap on for a couple of hours and use body heat? Hey Deb- There’s much debate about the application of protein to the hair. Some say you need heat. Others say you don’t. I can’t worry about the debate but I can tell you what works for me. I’ve found that using the heat helps the hair shaft swell open, allowing the protein to bond to the hair, thereby strengthening it. I always use heat with a protein treatment. Now, with a regular deep conditioning, non-protein treatment or a moisturizing treatment, I sometimes use heat but I find it as effective when I’m running around in the house cleaning up etc. to put on my thermal plastic type cap and let body heat take over. When I used to be relaxed I used to get protein treatments followed by moisturizing treatments and forgot that when I first became natural too! If anything, I think that if we put so much effort into keeping our hair strengthened and moisturized when it was relaxed, we should put that much effort into our natural hair. Forgot to metion Shelli, that the one of the worst shampoos that I used and did a very bad job to my hair was Paul Mitchell tea trea shampoo. Sodium Lauryl Sulfate, Sodium Laureth Sulfate are the second and third ingredients!!! that shampoo is meant for white people with straight hair. they can deal with sulfates. we can’t. I used to wash with shampoos that contained sulfates ages ago when I didn’t know any better. Now I can tell the difference. will have that in mind when looking for hair products. I am actually reading the labels now!! I am in a hunt for a leave in and it is difficult to find something that doesn’t contain protein. They will have amino acids (building blocks of protein), ingredients that have the word “hydrolyzed” before them. Even plants contain protein and so do their extracts but this category it is said that is not as commonly problematic as hydrolyzed grains. Plant oils , when properly processes, should be protein free. However for the coconut oil although it does not contain protein, it has been shown to reduce protein loss in hair and for some this acts just like having protein buldup on hair. Coconut milk contains actual protein. Katerina, you may be overthinking it. Not all protein is strong that it will leave your hair hard. There are many leave in condishes on the market that work well or make your own. The kimmaytube recipe is wonderful for hair. After reading your article I understand now why when I latetly use my leave in treatment my hair became harder.It contains wheat protein. I can’t tolerate the product anymore and I am rinsing it out. My hair after shampooing is very bad , birds nest hair , and although I know that the only solution might be to cut them off(shoulder length right now) I have a small hope that if I start to put intense hydration on them, then they might improve. I will try the mask you said and the herbal essence hello hydration product but I don’t know if I will be doing the leave in treatment recipe . Would you recoment a hot oil treaments in a salon? It is been more than three decates since I used my grandmother’s advice to use olive oil to my hair but I will start!! I’m sure Michelle would say the same, but one thing you may want to try if you aren’t already is using a sulfate free shampoo. Shampoos with sulfates (SLS, SLES) will do a job on hair by drying it excessively. Starting with a less harsh shampoo may be step one in rehabilitating your hair. I don’t know how I missed this post of yours. Anyway, I don’t really recommend hot oil treatments. Not for all hair types. You mentioned you are not African American. We tend to have very dry hair and that’s why we use hot oil treatments. If you typically have oily hair, I wouldn’t do a hot oil treatment. It may be hard to determine if your hair is oily or dry if it’s being dried out by products that contain sulfates or other ingredients. If I were you I’d first put all the products down that you’ve been using, grab a journal and start taking note of what works and doesn’t work for your hair. As mentioned before, products without harsh ingredients like sulfates are best. There’s a conditioner that I absolutely love that I found at Whole Foods. It’s called Shikai Every Day Naturals conditioner. You can actually leave it in your hair if you like and it will protect your hair from environmental stressors. It’s all natural so that’s a bonus. As for the leave in, it’s your choice, but you may notice that you will benefit from using one – especially if you have curly hair. I hope this helps. Feel free to ask whatever you need and I will help if I can. If I don’t know, I’ll find out. Cheers and Happy Friday! 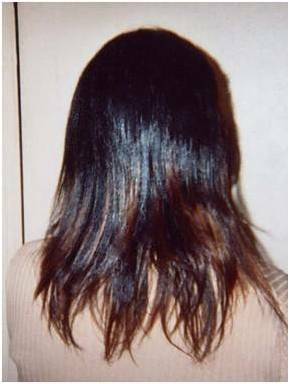 Can you tell me that leave-in treatment product to use? Protein free. A leave in or a deep conditioner without protein? In my opinion “protein sensitivity” is the same as an unbalanced Ph level in your hair, this happens when your hair has too much protein which is currently happening to me. Protein in hair does not just come from products it also comes from your diet, in my situation I started taking the supplement spiritulina which is high in complete proteins, that along with the use of coconut oil and a protein treatment that “broke the camels back” left me with a dredlocked matted mess of a nest for hair…NO JOKE! You are correct in saying that this is a treatable condition which requires clarifying and moisture, but beware I am on day 7 of my moisture rehab & the tips of my hair are still locked so I can affirm that “protein sensitivity/overload” is real indeed, but totally correctable. I get what you’re saying. I just disagree on it being a sensitivity because like you said, it’s something that’s out of balance. Many naturals that “think” they have a protein sensitivity avoid protein all together which is not good in the long run because your hair IS largely composed of protein. It’s just important to have that delicate balance of moisture and protein. Anybody can achieve that if they know how. There are hidden truths behind every stories, basically there’s nothing to worry about if the things which you knew about it can help you on your treatment. Protein had been long known that helps in giving the body nourishment and even to with some illness. It even plays a major rule on our health and now with our hair. It really takes to read to get an update and you can also learn from it. Thanks for your comment. There is plenty to worry about if a person is not educated in caring for themselves. Protein is often misunderstood by so many people. And in the case of this article, hair is the subject not the body in general. What do you use in place of a shower cap with the Aphogee treatment? When you use the Aphogee you don’t put anything on the hair. It has to dry hard. You sit under a dryer and let it dry hard so the protein can bond to the hair. While it’s drying, don’t manipulate. Just let it dry hard and then rinse it completely clear following with a moisturizing conditioner that’s protein-free. Very detailed article, I had no idea you had to condition you hair after a protein treatment, does this include egg/avacado/banana treatments as well or just store bought products? Michelle, I think Coco and Cream meant do you need a moisturizing conditioner after a protein DC made with egg/avocado/banana. She didn’t mean to use that after a protein DC. But your answer still answers hers as it is yes, use a moisturizing conditioner after an egg protein treatment. Now, to me, the real question here is, if you say that protein conditioners must be used with heat, but people say not to use heat with egg treatments because they will cook in your hair, is egg a highly effective protein treatment? Based upon a recent article on bglhonline, I suspect no as the writer indicated that hydrolized protein is the best. However, that being said, I’ve seen a lot of people praise egg based DCs. I’ve never been a fan though. I’m not a fan of the egg thing either. First off it’s food lol so God didn’t necessarily create it to be put in our hair. Many naturals take the whole natural thing rather far in my opinion. I’m not opposed to using food on the hair. It’s just not every food rather protein or not is necessarily a good choice for a treatment. Mayonnaise might be better since it already has a smooth consistency. When I was in H.S. I used the eggs and found it made my hair soft but didn’t stop breakage. That’s another thing. I think some ladies thing if the hair is soft it’s conditioned. Interesting … very interesting. I’m not sold on all styling products with protein will make hair hard because I do use some that seem to work fine and don’t cause brittle hair. I suspect that may have something to do with where the protein falls on the ingredient list (i.e. mid-low). Most stylers that I see with protein don’t tout themselves as “strengthening” treatments but I would definitely agree that using something with protein high on the list without a moisturizer to restore balance could definitely have more of us diagnosing ourselves as protein sensitive than needs be. But, again, I think using a protein conditioner on undamaged hair or hair with sufficient protein and low porosity is unnecessary and another situation dubbed as protein sensitivity as it overloads the hair. But, great information!! Protein and moisture balance is something I’m definitely interested in learning more about and you provided some valuable insights. Thanks! Now about the location of protein on the ingredient list, I agree. If it’s lower down on the list it probably won’t be an issue with hardening hair. However, look at some of those bottles where it’s high on the ingredient list (not a deep conditioner or protein treatment – a styling cream etc). Notice how on the packaging they usually say something like, “Strengthens hair, increases flexibility etc.” They won’t call themselves treatments per say. I believe they are making false claims because protein applications are not effective without heat. Also, I agree that undamaged hair doesn’t require heavy doses of protein. Light protein treatments however CAN be used to maintain hair strength. As I mentioned in the post, it’s not required to treat the hair with protein all of the time if he hair is not constantly being damaged.